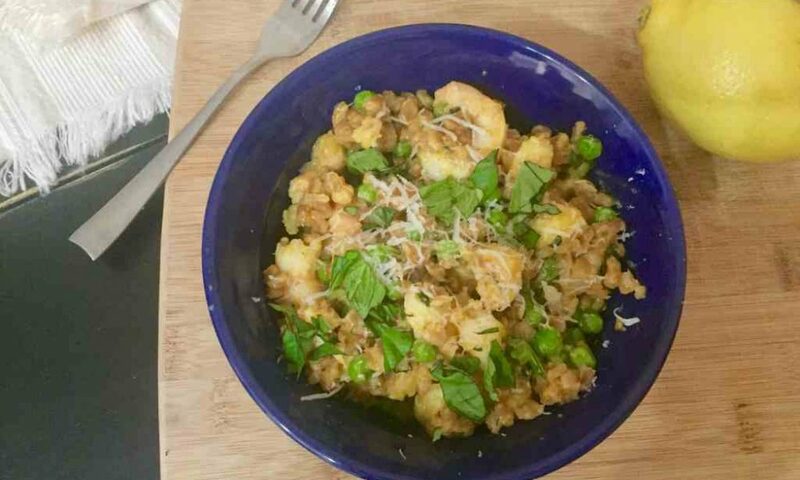 This one-pot risotto features ancient grains, peas, and zesty lemon. Sorghum is an up-and-coming whole grain that packs plenty of fiber, protein and cancer-fighting compounds. Shrimp adds extra protein, but can easily be substituted with fall veggies for a vegetarian version of this comforting classic. Per Serving: 290 calories, 8 g fat (2 g saturated fat), 33 g carbohydrate, 22 g protein, 3 g dietary fiber, 310 mg sodium. *If using soaked sorghum, cooking time may be reduced by 10 minutes. Heat 1 tablespoon oil in large pan over medium heat. Add shrimp and cook until opaque, about 3 minutes. Remove from heat and chop roughly on a cutting board. Set aside. If using soaked sorghum, drain and pat dry sorghum using a paper towel. Add sorghum to pan and toast until lightly golden, about 4-6 minutes. Remove toasted sorghum from pan and set aside. Heat remaining tablespoon oil in the pan over medium heat and add the onion and garlic. Stir and cook until translucent, about 2-3 minutes. Add toasted sorghum back to pan with onion and garlic and stir around for 1-2 minutes. Add 1 cup broth and stir gently, allowing sorghum to absorb the liquid. Once first cup of broth is absorbed, add 3 more cups vegetable broth, cover with lid, and reduce heat to low. Cook for 50-60 minutes, stirring periodically, or until broth is almost completely absorbed and the sorghum is tender (if the sorghum is hard, add more broth and continue cooking for 10-15 minutes). Add peas, shrimp, pepper and lemon juice, stir, and cook for 4-5 minutes (add more broth if needed). Remove from heat. Add basil, cheese and lemon zest and stir. Garnish with a sprinkle of freshly chopped basil on top. 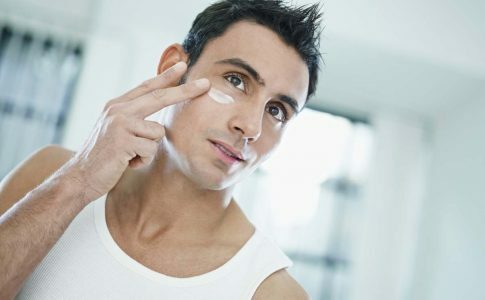 Hey Dads, You Should Have a Skin Care Regimen, Too!